I’m going to come out and say that I loved the 2011 Triumph Speed Triple when it came out. 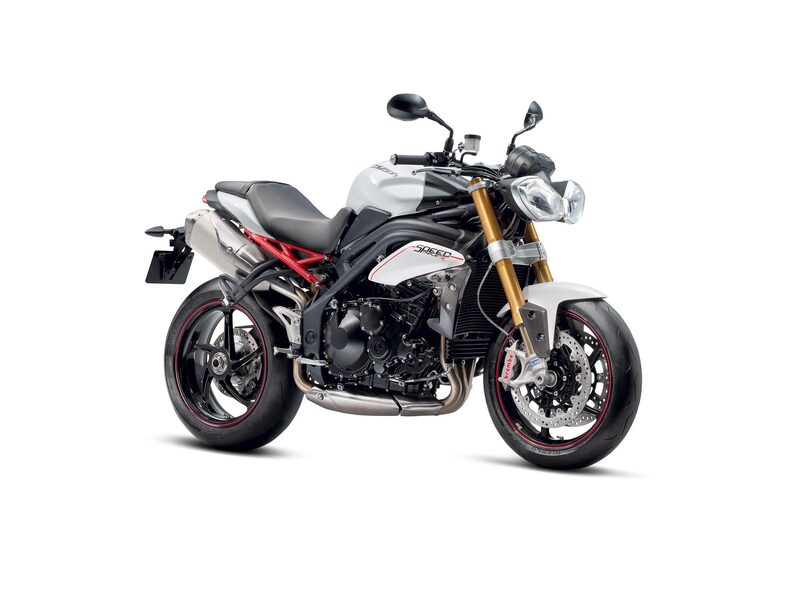 A divisive model with the Triumph’s loyal fan base, the revised Speed Triple’s aesthetics are a marked improvement over the earlier generations in my book, which was the only thing that kept the peppy three-cylinder machine out of my personal garage. Now to thoroughly ruining my Christmas wish list, the British brand has added the 2012 Triumph Speed Triple R to its EICMA debut list, with the “R” designation denoting the bike’s upgraded Öhlins suspension, Brembo brakes, and PVM wheels. The Triumph Speed Triple R feature Öhlins NIX30 43mm fork, which are complimented well with the Swedish suspension brand’s TTX36 rear shock. While we’re sure that the Öhlins suspension will add to the ride feel in ways mere mortals won’t even be able to use, flickability has been further increased with the use of PVM’s five-spoke forged aluminum wheels, which are 3.7 lbs lighter than the Speed Triple’s stock wheelset. The counterpoint to going faster is of course stopping quicker, and to aid in that effort Triumph has added four-piston radial monoblock callipers from Brembo to the 2012 Triumph Speed Triple R. When combined with the PVM wheels, the British brand claims that the Speed Triple R has a 5% increase in braking performance over the standard Speed Triple. As an optional package, Triumph Speed Triple R owners can add ABS to the mix as well. 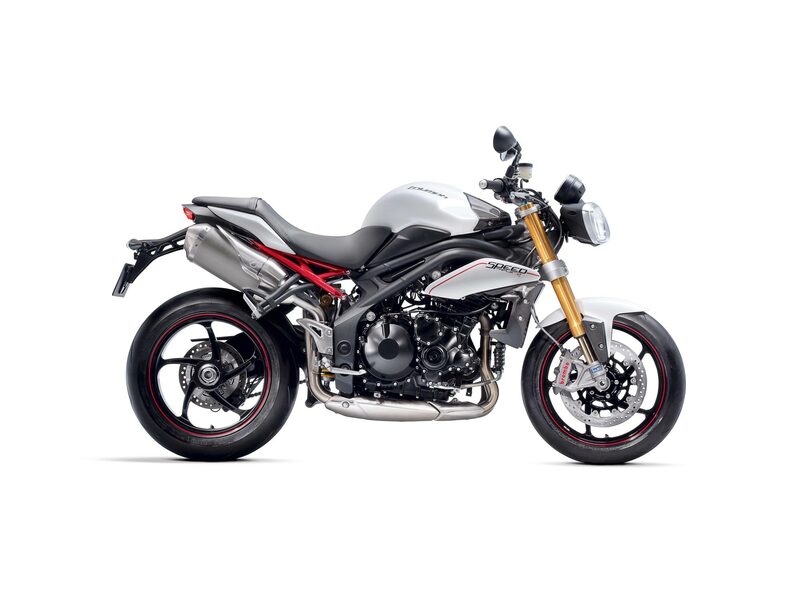 Of course no “R” package would be complete without some custome paint, and the Triumph Speed Triple R comes in either Phantom Black or Crystal White color options, which will be accented with the bike’s painted red sub-frame and detailing. Expect more details on the 2012 Triumph Speed Triple R at EICMA, and start saving now.